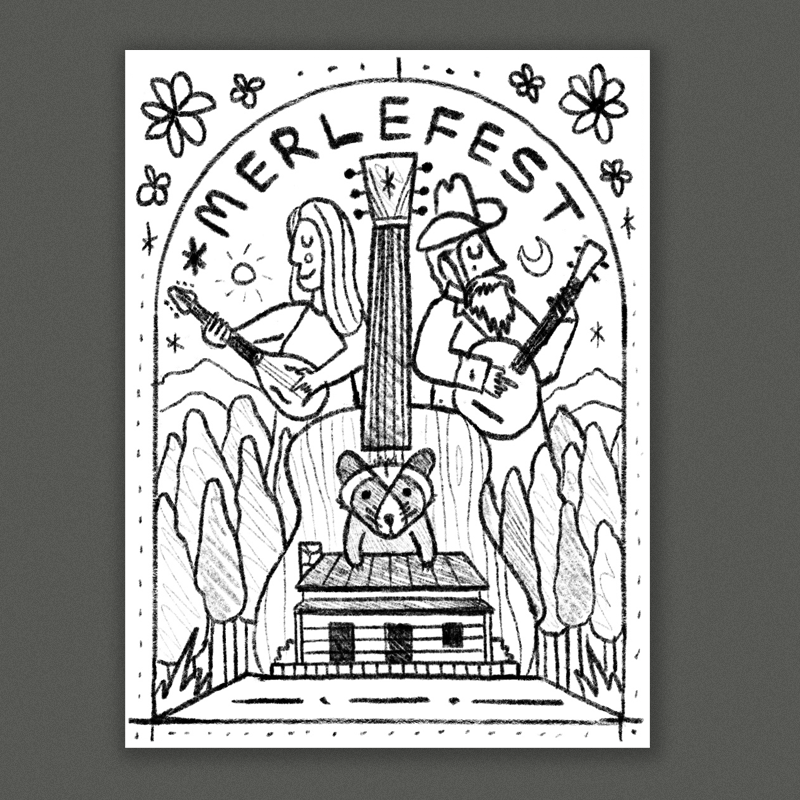 Here are a few rough sketches for the festival poster, I think a cool retro-inspired illustration style could be really cool for these. Bold outlines and shapes with some bright, funky colors would be great I think. 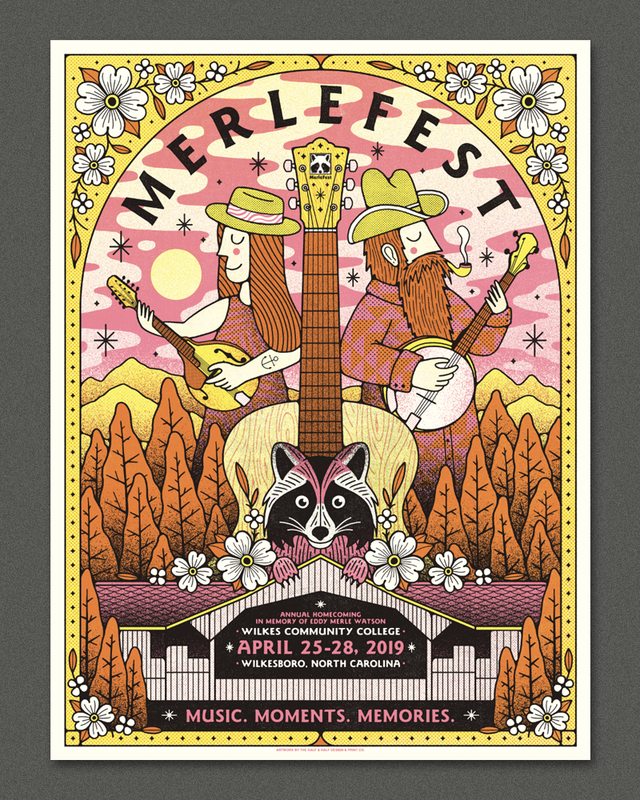 Since last year’s poster had the main stage I thought it could be cool to do something with the cabin stage next to it - this would feature a little raccoon character peaking over the top framed by a guitar in the back. A sunny NC landscape would fill out the rest of the poster. Similar to the above sketch, but with added characters playing banjo and mandolin. A woman playing a guitar in a big vibrant nature-patterned dress. The bottom of the dress turns into a frame for the main stage with all the foliage behind it (the foliage being the dress pattern too). In the background we’d do some trees and mountains and nice bright sun behind her head beaming down.